Solid green color gazebo curtains. 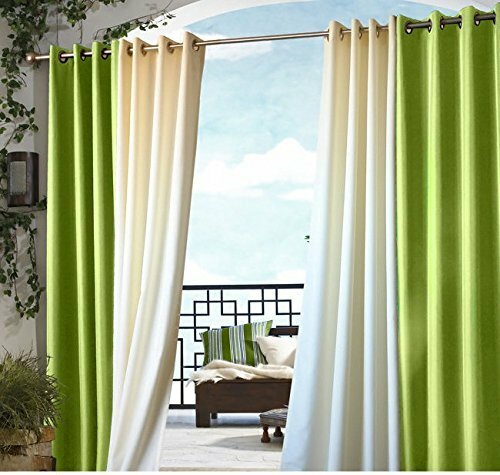 Lime color single panel curtain that can be used in both indoor and outdoor. These 84 inches long curtains are unlined and made of polyester with grommet top. This curtain can be used as patio curtain, deck entrance curtain, porch curtain, doorway curtain, gazebo curtain, pergola drapes. If you have any questions about this product by U.A.A. INC., contact us by completing and submitting the form below. If you are looking for a specif part number, please include it with your message.